An extremely well presented four bedroom family home situated within this sought after location of Broxbourne. This property has been finished to an exceptional standard throughout with benefits including a large and impressive kitchen/diner, spacious lounge, ground floor cloakroom, a stunning family bathroom, en suite to master bedroom, front driveway with off street parking as well as a garage. 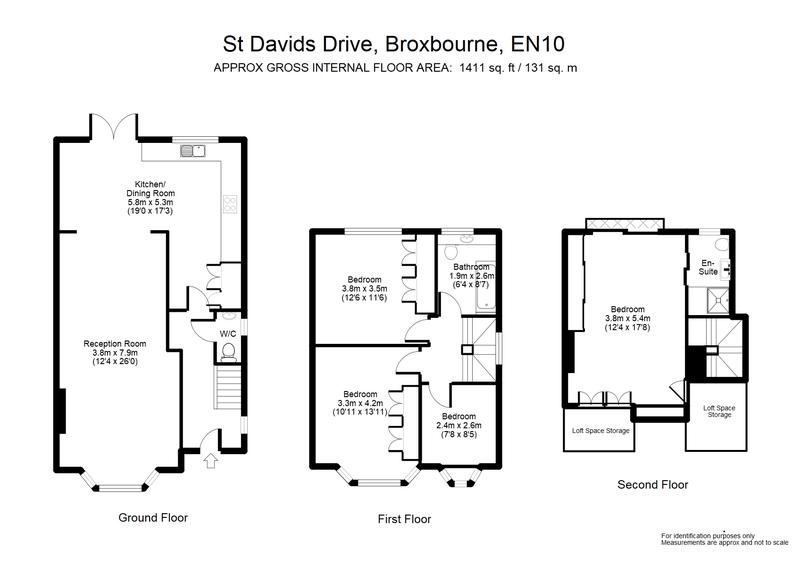 Situated in this desirable residential location and within catchment area of the highly regarded Broxbourne schools.